Newt Scamander returns with his fantastic beasts for the second time in J.K Rowling's continuation of the Fantastic Beasts series. Director David Yates takes the Potterverse into a much darker and bleaker setting than its forerunner. Fantastic Beasts portrays visible timeline inaccuracies creating future character plot holes and disrupts the continuity of the Harry Potter series' storyline. 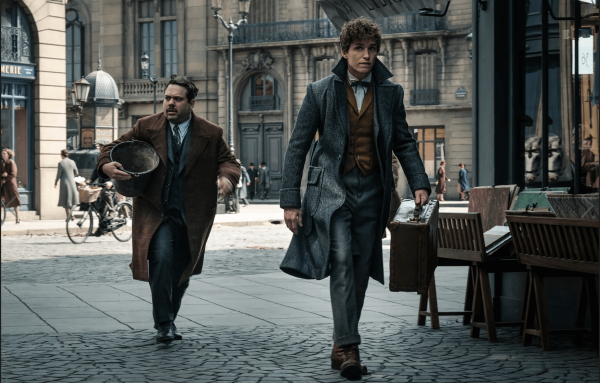 Fantastic Beasts: The Crimes of Grindelwald, is the second film in the #FantasticBeasts series, which hit the UK box office last week and has received mixed reviews, with some critics loving it and some not so much. The title itself, The Crimes of Grindelwald, would lead you to think that this film was centred with Grindelwald as the main character and the storyline to focus on his 'crimes', however after watching I found the title to be slightly deceiving as the story mainly followed the character Credence Barebone (the Obscurus from the previous film), which left the other secondary characters to centre around him. This film indeed has a darker tone to it in contrast to its predecessor, but this doesn't alter the quality of the screenplay as it still includes the magic and fantasy of the wizarding world that we all know and love. The cinematography is definitely applaudable, the juxtaposition of the bleak darkness of the antagonist's plots and dark magic creates a Nordic noir feel, but also along with the beautiful, scenic, establishing shots of Paris where most of the action takes place, this creates an equal balance of peace and excitement. The contrast of the fast-paced action and the peaceful setting of urban Paris works well as it allows the sub-plots to not be rushed but also allows just the right amount of time spent on each scene to ensure the audience's engagement with the film. Throughout the film, there are several 'easter eggs' which link back to the Harry Potter films which create nostalgia and a lighter feel to the film, for example, in the film we are greeted by a much younger Dumbledore (played by Jude Law), who is teaching the Defence Against the Dark Arts (DADA) at Hogwarts, here viewers will gain insight into Dumbledore's backstory and despite the inaccuracy of him teaching DADA, when it has been quoted previously he only taught Transfiguration, I didn't mind seeing Dumbledore as a character in a different light. During this teaching scene, we also come across a 'Boggart' seen in earlier Harry Potter films, where Harry uses the 'riddikulus' charm against a dementor, here in FB, we see younger Newt doing the same but what he comes up against isn't quite what you expect. Other easter eggs to look out for are spotting the relative of the infamously 'combustible' Cormac McLaggen in the Harry Potter films, the Whomping Willow tree and even an appearance from a young Professor McGonagall, (although the debate of her portrayed age and if that is actually her or a different family member in the film is creating some controversy between Potterheads online). 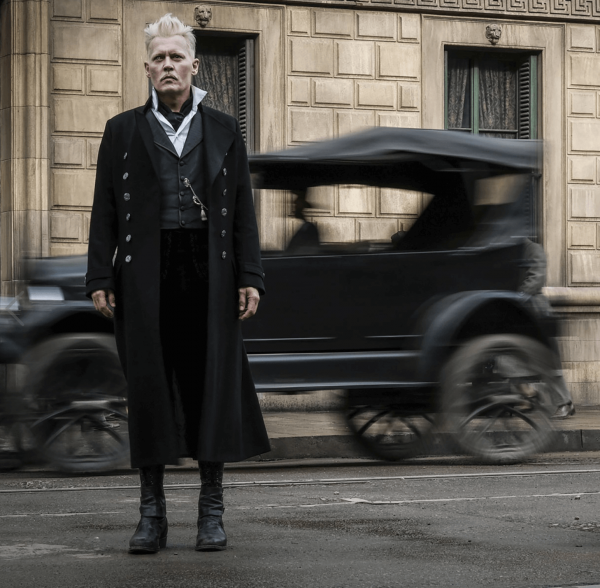 Johnny Depp gives a stellar performance as Grindelwald, luring in his naive wizard followers to join his cult and join in with his evil plans to disrupt the balance between the wizarding and non-wizarding world. Overall out of the two films, I prefer this instalment as I love how the darkness and intensity of the storyline was so thrilling and created a more serious feel which gifted itself with its own originality and I feel separated the teenage, 'coming of age' feel of the Harry Potter series and granted itself a film which was just as high standard. I rate this film an 8 out of 10, as I loved the gripping storyline and dramatic cliff-hanger which left you guessing and I enjoyed the burst of Harry Potter nostalgia a number of scenes in the film gave me, although because of some of the timeline inaccuracies this left me feeling that the continuity of the storyline in the future may become convoluted.